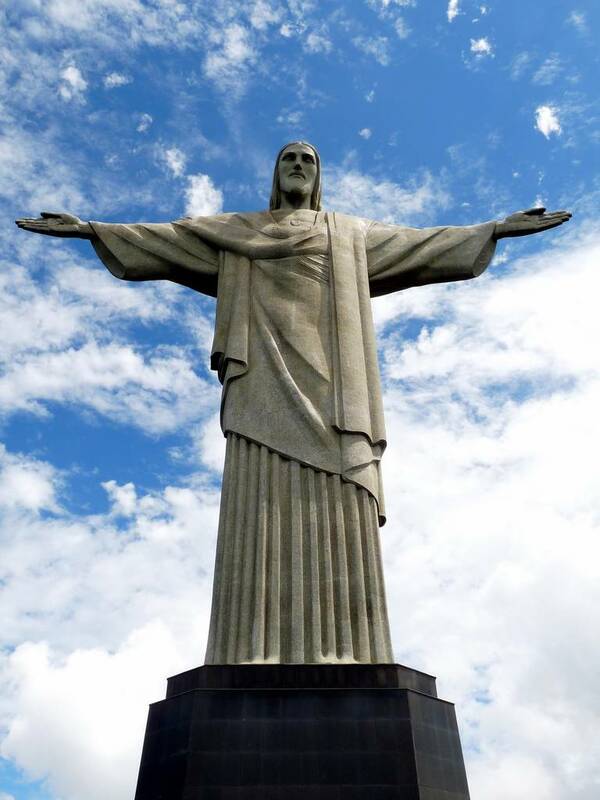 Probably the most famous statue of Jesus on the planet, known for both size and location, is the statue of Jesus Christ in Rio de Janeiro, Brazil (pictured above). 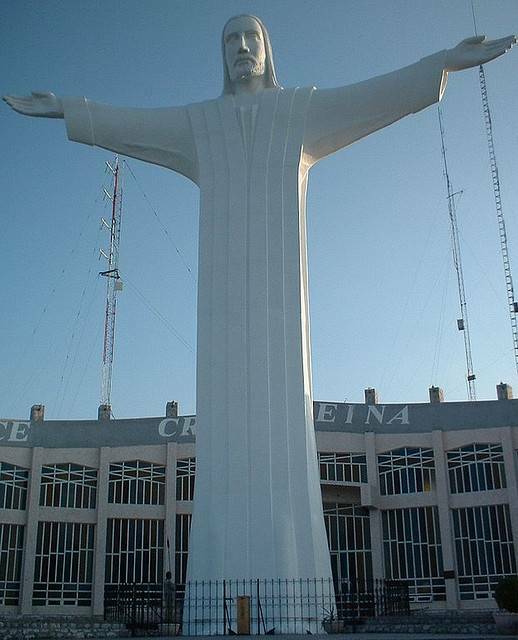 You would be forgiven for thinking that this was the largest statue of Jesus in the world too – yet you would be mistaken. 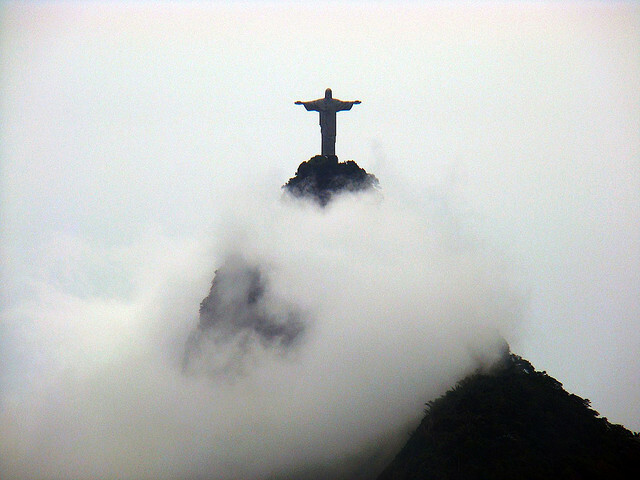 The Jesus who towers above the Corcovado mountain overlooking Rio is only the fourth largest statue of the Christ on Earth. Take a look at some of the others - they get bigger as you go along. 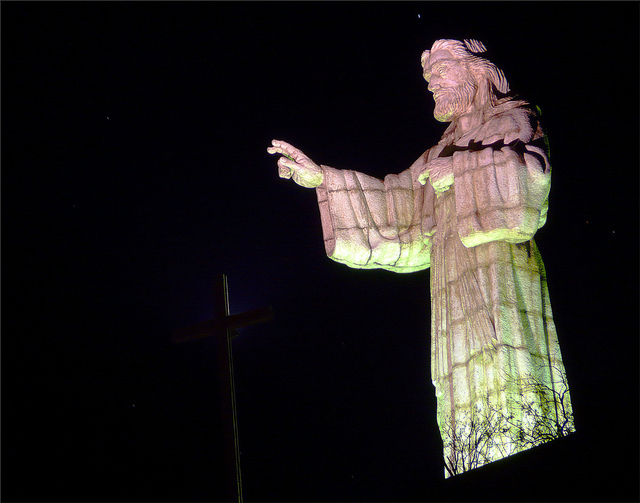 The Christ the King statue sits atop of the hill named after a gambling implement of all things – a dice cup. 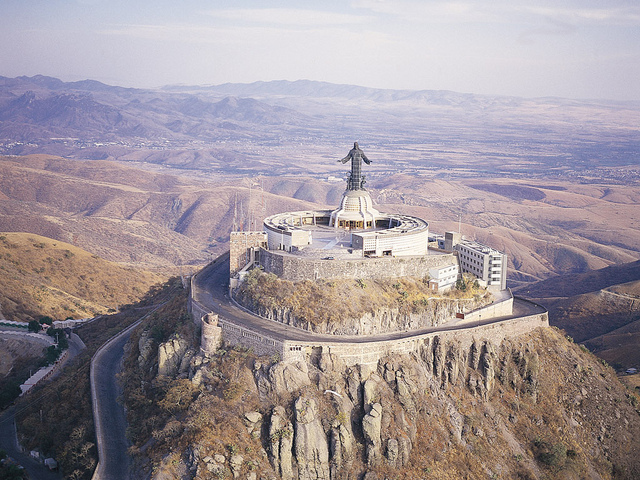 The hill,Cerro del Cubilete (more of a mountain if the truth be told) is 2,700 meters high and is situated in the state of Guanajuato in Mexico. The statue was completed in 1944 and bears the hallmarks of the Art Deco movement. 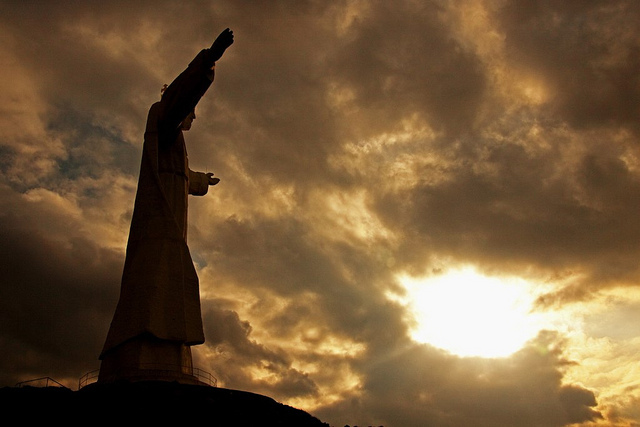 It is one of the most significant religious memorials in the country and sits at the geographical center of Mexico. 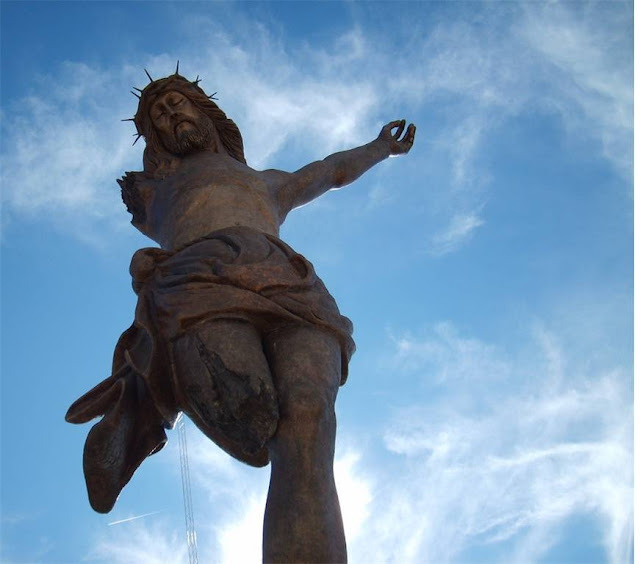 There had been a smaller statue there before which was destroyed during the latter stages of the Mexican Revolution by the anti-religious president at the time. 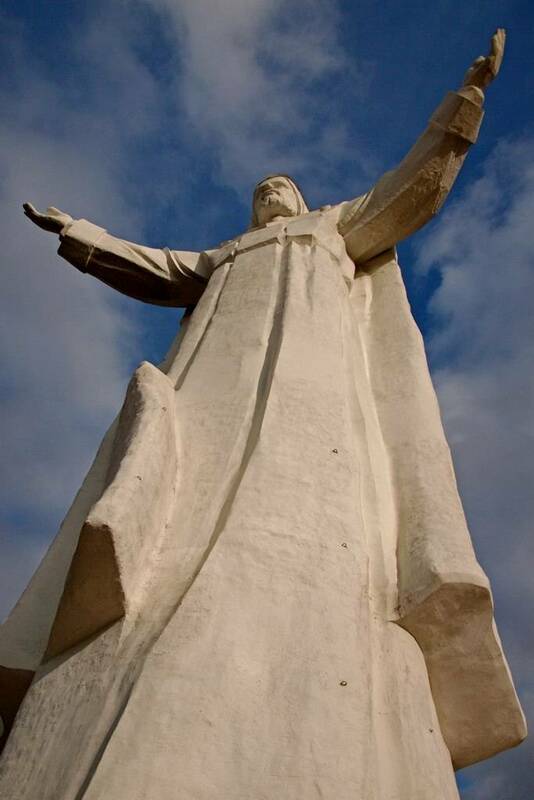 The Cristo Rey was constructed in honor of the struggle of the Cristeros, those who opposed that regime. 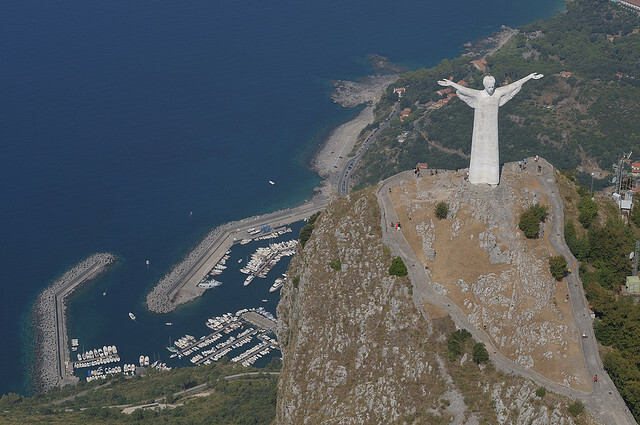 Known as Cristo Redentore di Maratea in Italian, this statue was made in the white and blue-grey marble sourced from the quarry near the city of Carrara. 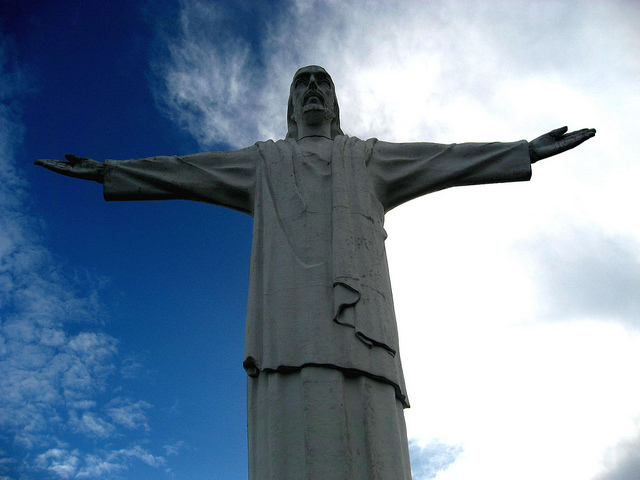 Unlike some of the other statues, built by donations from the public, Cristo Redentore was erected using the funds of a single individual. Stefano Rivetti was a Piedmontese entrepreneur who wanted to pay tribute both to his religion and the people of his town, Maratea. 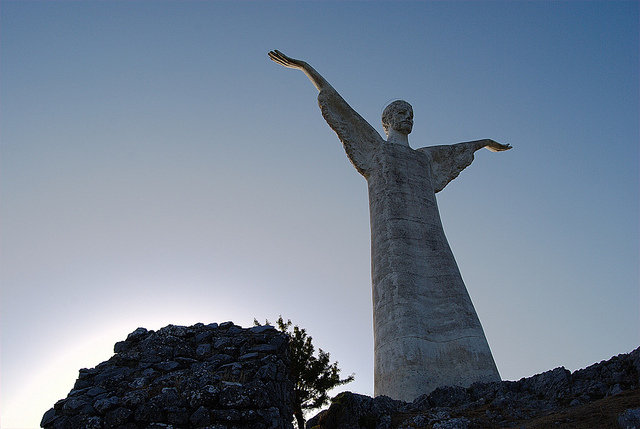 The statue stands atop of the Monte San Biagio, the hill which overlooks the town. Named after the hill upon which it was built (Cerro de las Noas) which itself is called after a species of desert cactus, this project took seventeen years to complete after it was begin in 1973. 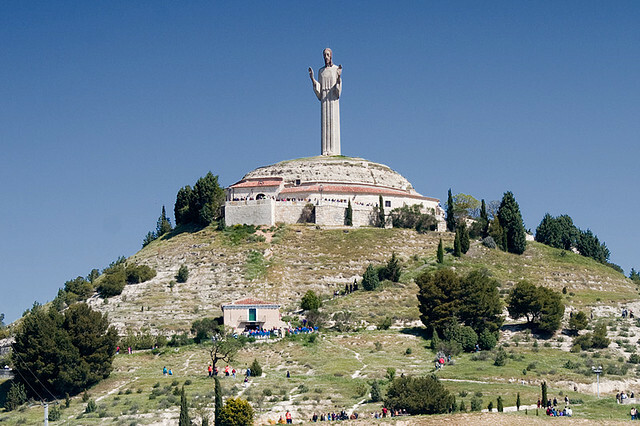 There is, at its feet, a replica of the Holy Land as well as a restaurant. 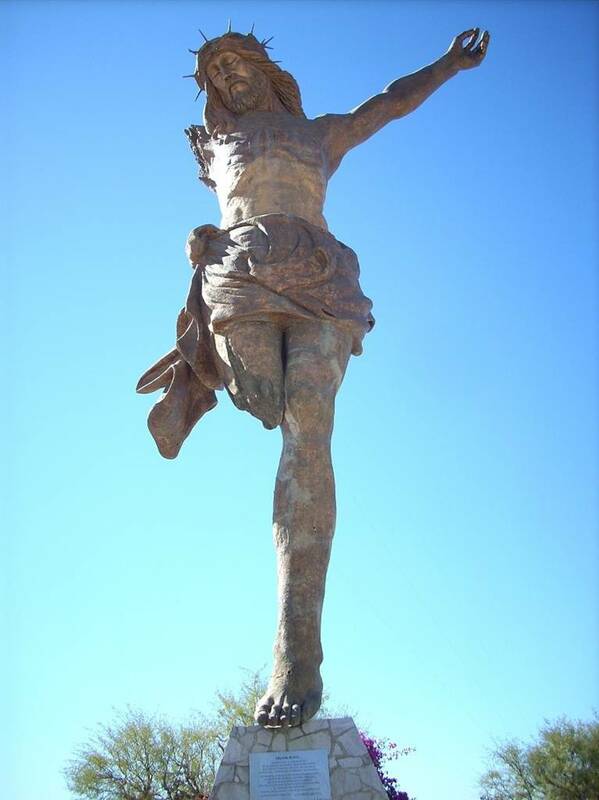 The statue is situated in the Mexican city of Torreón, Coahuila and was designed by sculptor Vladimir Alvarado. 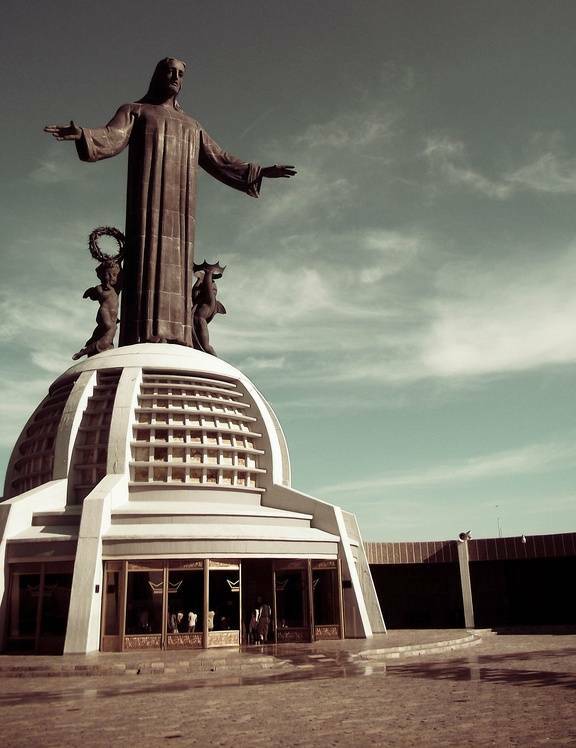 It was imagined in 1973 by a local priest Jose Rodriguez Tenorio who had probably not envisaged (at least to begin with) that his enormous project would end up this concrete leviathan weighing 580 tons. 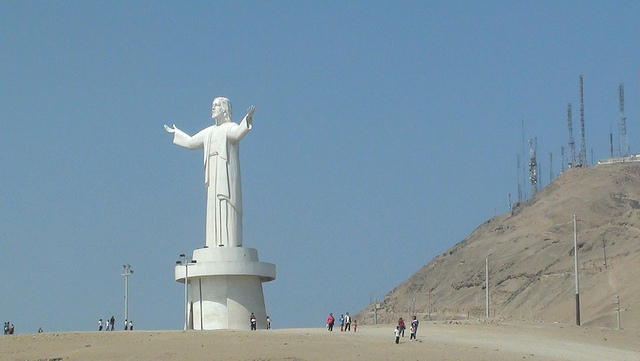 Cristo del Pacífico, as it is known in Peru, was the parting gift of an outgoing President. 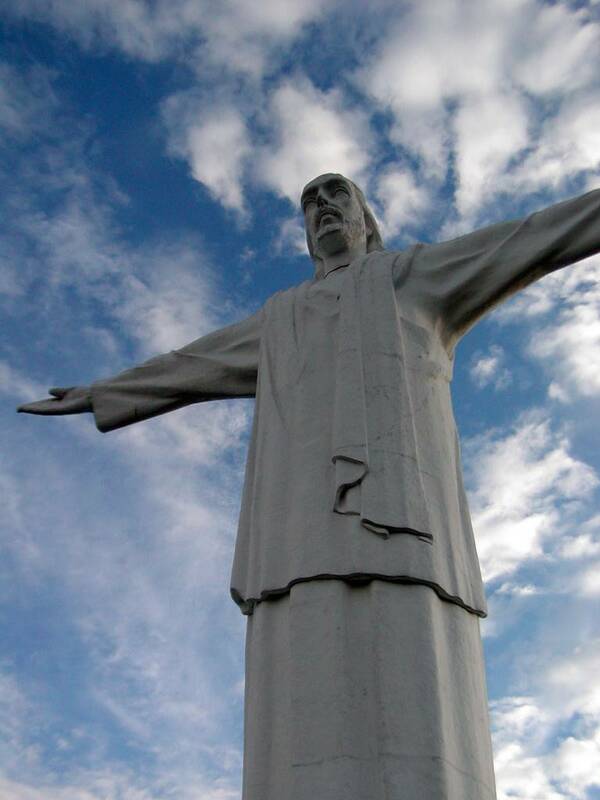 When he lost the 2011 presidential election, the outgoing head of state decided that his last gift to his people would be a fairly straightforward copy of the Christ the Redeemer statue in Rio. However, this led to a great deal of criticism – that Peru should really have had its own design rather than a reproduction. 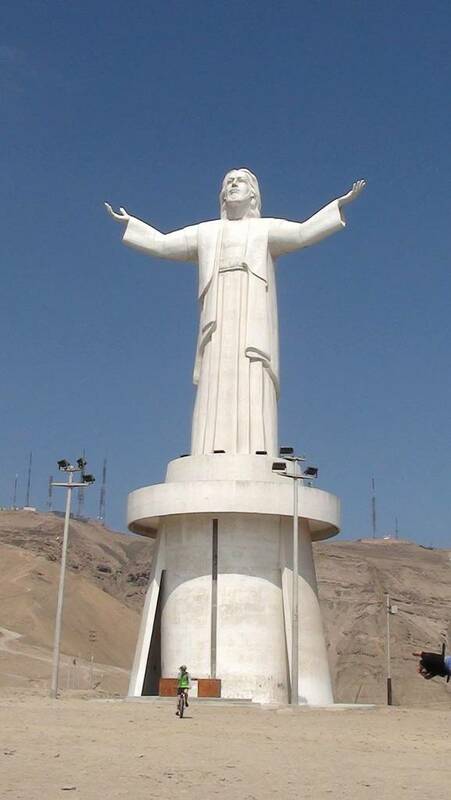 Not only that, many Peruvians see the light system which came with the statue as tacky. Furthermore a number of people also saw the statue as a governmental endorsement of Christianity which they believe should be separate from the function of the state. 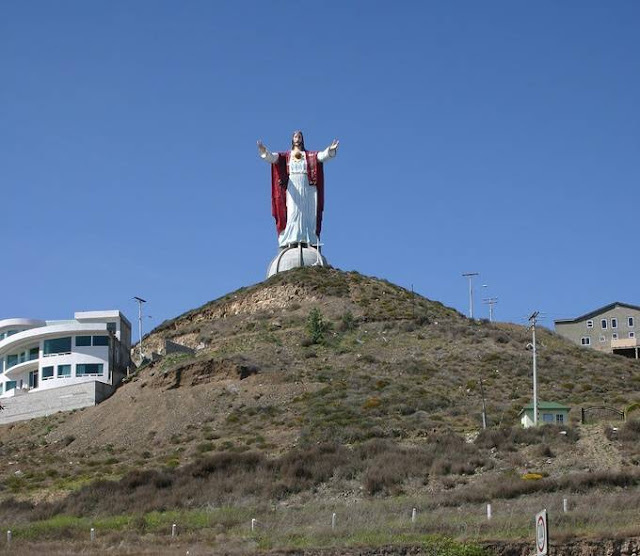 Six miles away from the Mexican city of Rosarito above the resort town of El Morro this giant combination of steel and fiberglass stands. 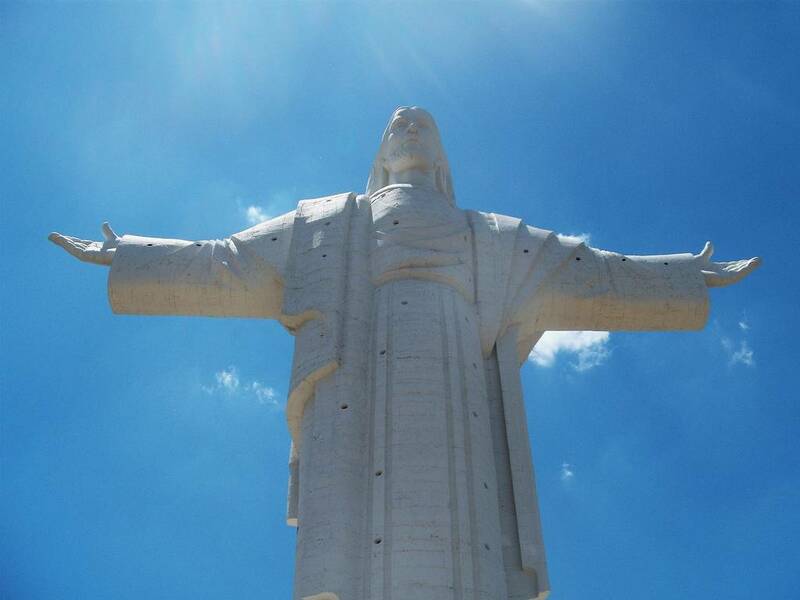 Known as Cristo del Sagrado Corazón in Spanish, it is directly across the highway from the resort and spa. 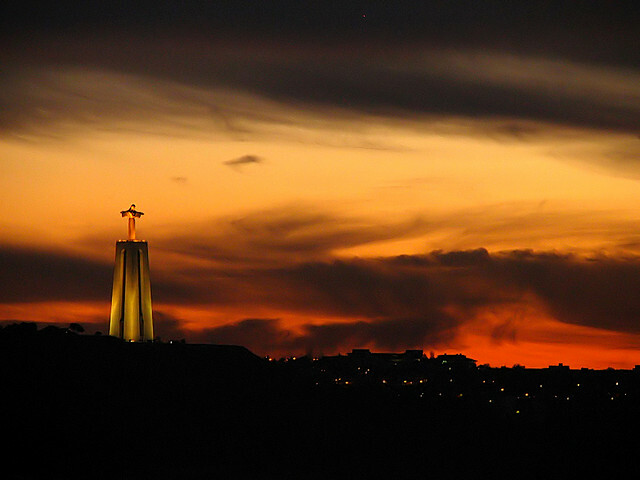 The sculptor, Gregorio of Tijuana, claims the title as the tallest of its kind in the world, but because of the color not the height. 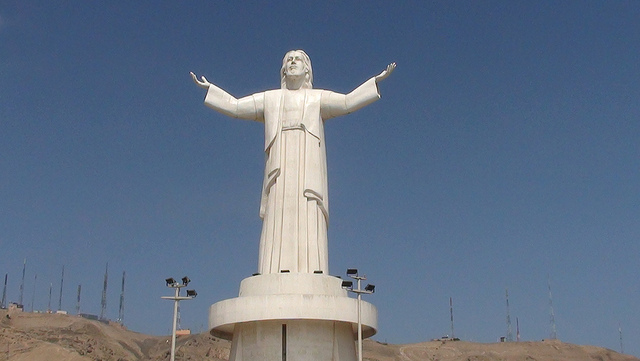 It is jarringly different from the others on the list because it is in full (techni)color, while almost all the large statues of Christ around the world are white or monochrome. 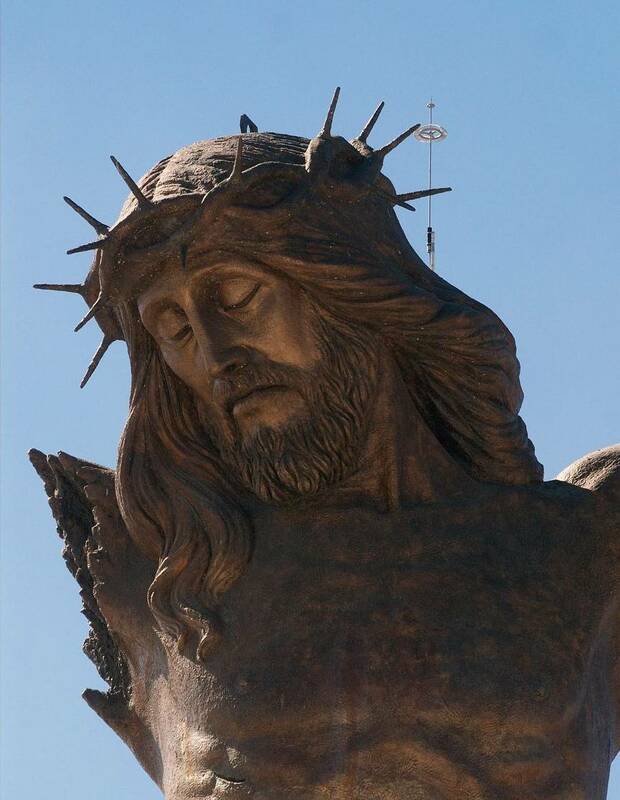 Located in the border city of Tijuana in Baja California State, the statue was produced from resin and fiberglass, making it the only monumental image of Christ built with this combination materials. 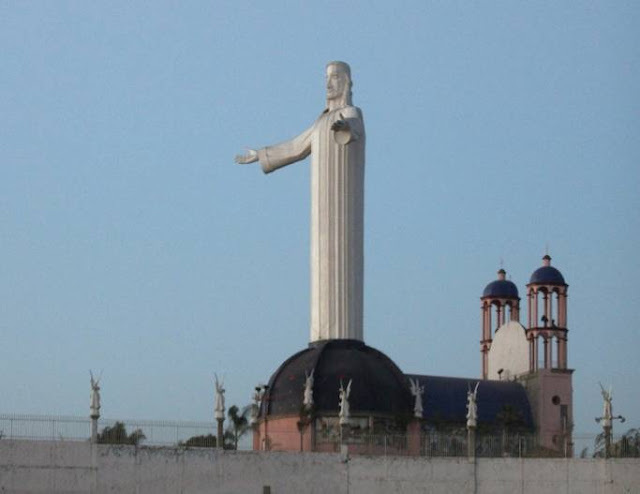 The statue, almost 24 meters high, is placed on a dome in the church of San Martin de Porres of Tijuana and represents the sky. 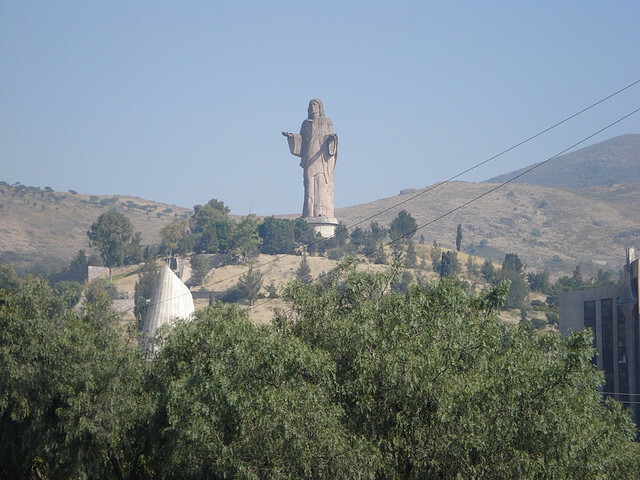 Image Credit WikimediaThis very unusual take on the giant Christ statue comes from San Jose de Gracia, Aguascalientes in Mexico. 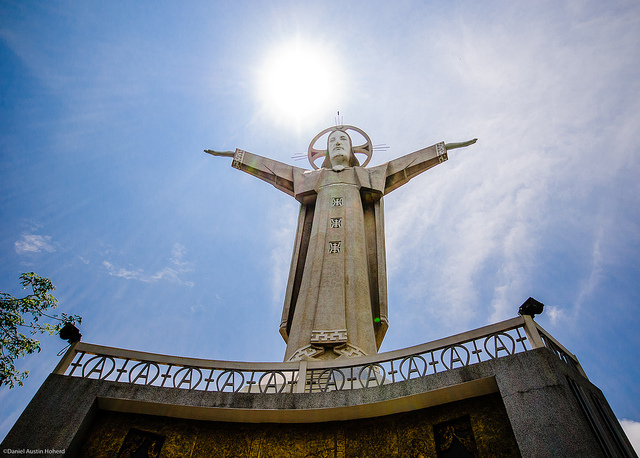 El Cristo Roto attracts many thousands of pilgrims each year and as a result the infrastructure of the municipality is increasing in order to handle the high demand for this tourist target. Perhaps the reason for the statue’s broken state is best summed up with the words at its base. "Leave me broken… I’d like that when you look at me broken like this, you’d remember many of your brothers and sisters who are broken, poor, indigent, oppressed, sick, mutilated… without arms: because they are incapacitated, left without any means to work; without feet: because they are impeded to walk their way; without face: because they have been robbed of their honor and prestige. They are forgotten… those who see them turn away since they are like me – a broken Christ!" 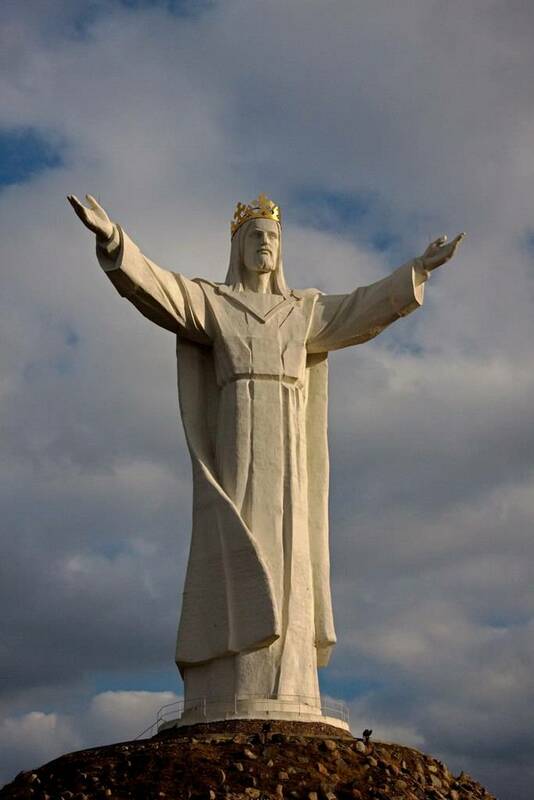 The statue of Christ the King is a mammoth statue of 25 meters high, located in the town of Les Houches , Haute-Savoie in France. 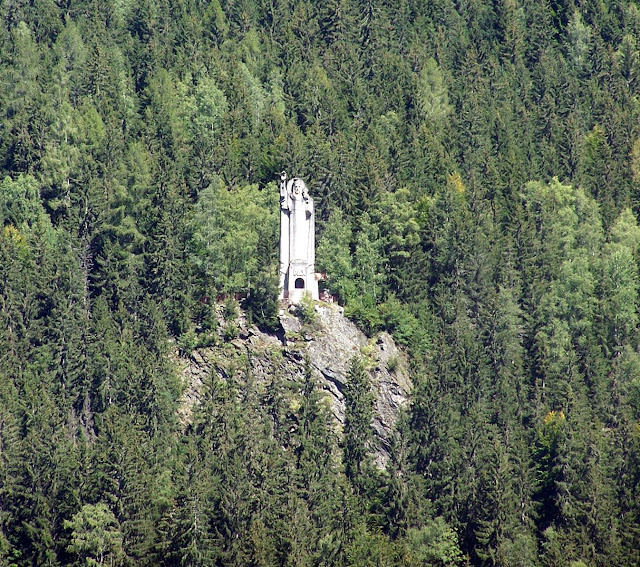 The monument is located on a rocky outcrop overlooking the valley of Chamonix. L'Abbé Claude Delassiat, pastor of Les Houches was the initiator of the construction of this statue. 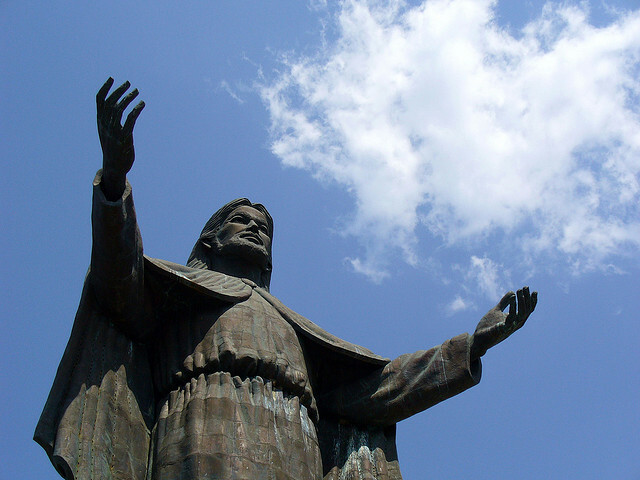 He wanted a statue that embodied the idea which proclaims the universal kingship of Christ – and the figure is certainly regal. 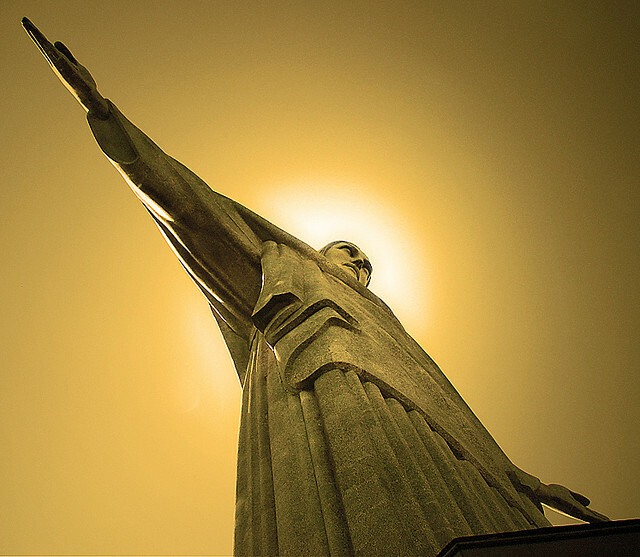 The first stone was laid in August 1933 and after a year of work, the statue was inaugurated on 19 August 1934 . 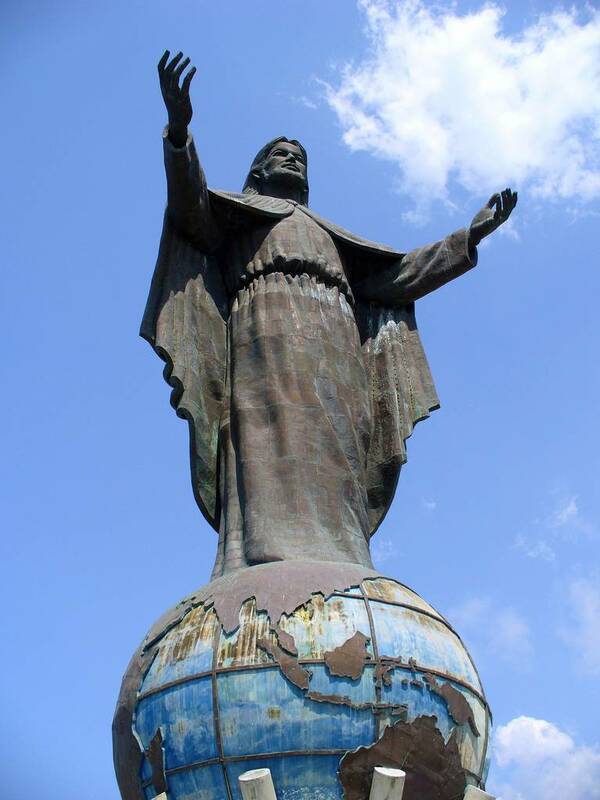 El Cristo de la Misericordia points toward to the south in this huge statue in the “Toursm city of Nicaragua”, San Juan del Sur. 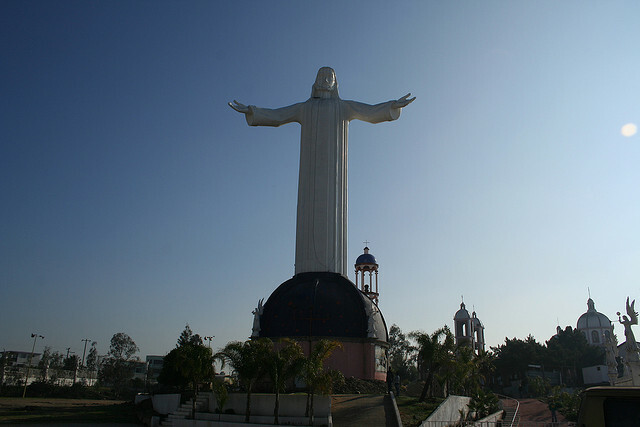 The Christ of the Mercy stands above town on the northern end of the bay, and it is the largest statue of Christ in Central America. It was the dream of a local businessman, Erwin Gonzalez, who made his fortune from tourism. 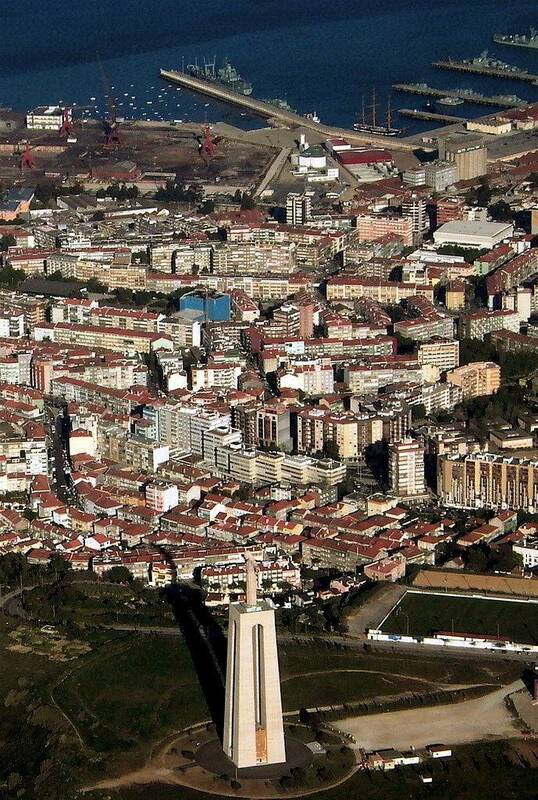 Gonzalez owns the land upon which the statue was built (and the residential complex below). 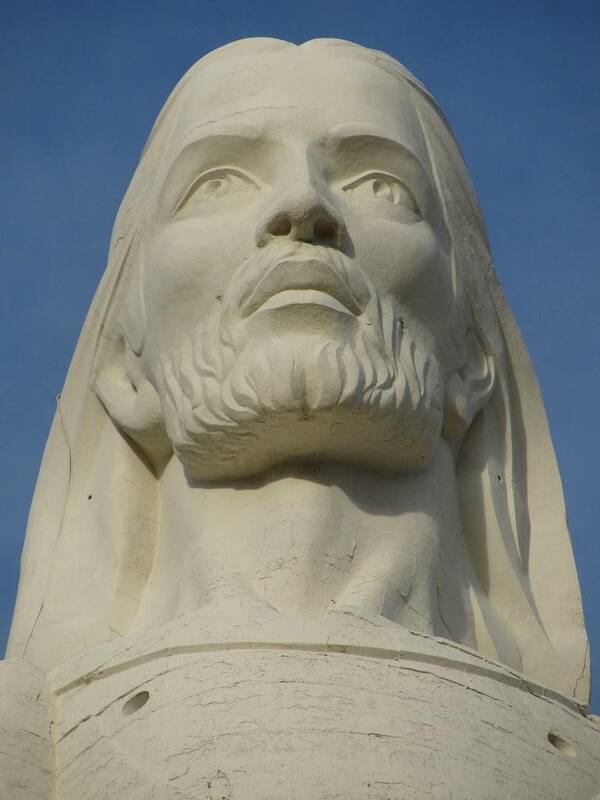 The statue was designed by US born sculptor Max Rican Ulloa. 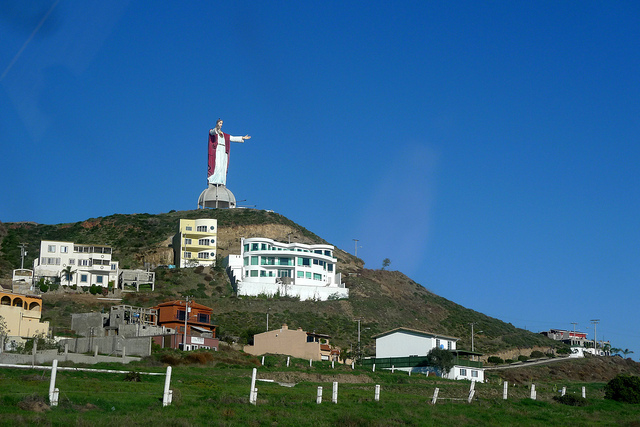 The Colombian town of Cali is home to Cristo Rey, situated atop one of the two large mountains overseeing the city. 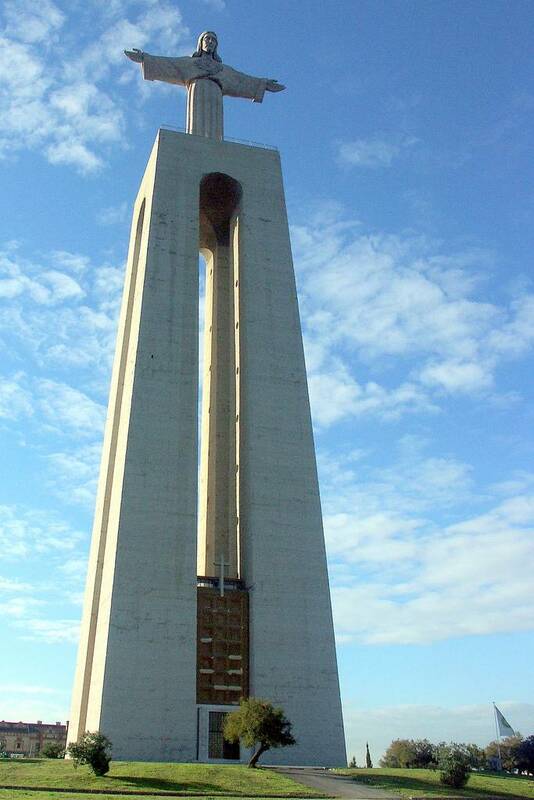 This monument was built in 1953 as a homage to peace and a symbol of security for the locals. It is found on the top of Los Cristales Hill and has a lookout point where you can admire the panoramic view of the city of Cali. 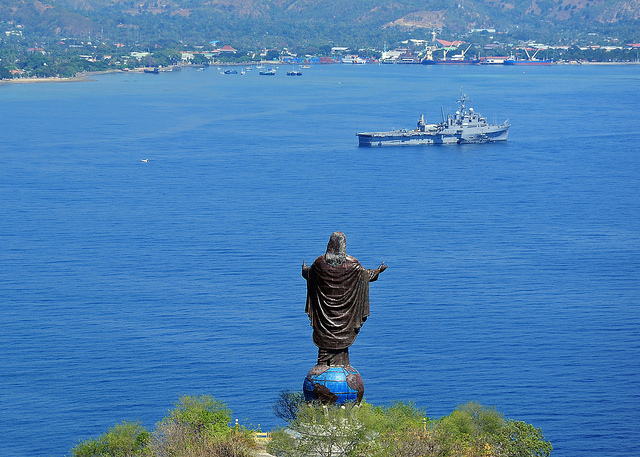 The statue of Christ the King was a gift from the government of Indonesia to the people of East Timor. At the time East Timor was still a province of Indonesia but it became a sovereign state in its own right in 2002 (the first new state of the twenty first century). 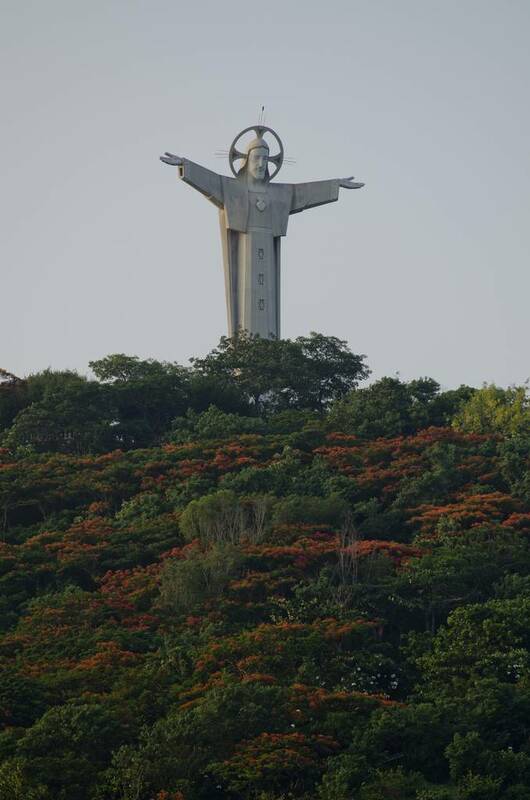 Since then Cristo Rei has become one of the main tourist attractions of this newly independent country. 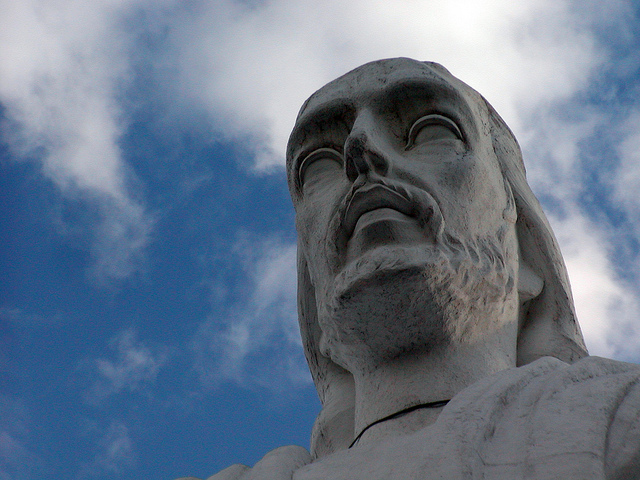 Unlike most of the statues on this list, Cristo Rei is made out of copper rather than stone. It consists of 27 separate sections which were created in Bandung and reconstructed in situ, a process which took three months. It was finally unveiled in 1996. 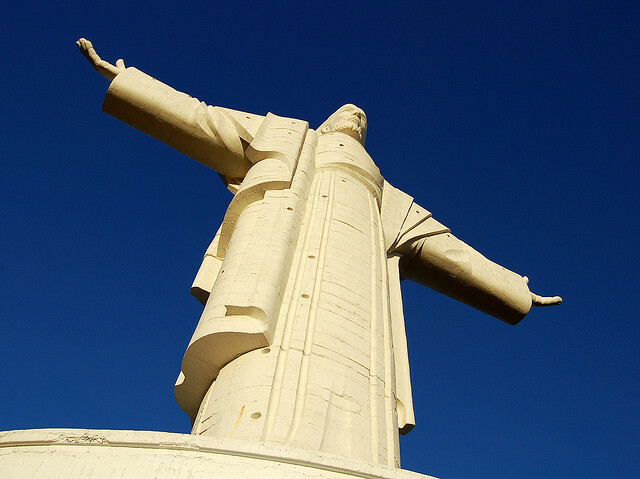 Cristo-Rei in Portuguese, this statue was first planned in 1940 but by its inauguration in 1959 it became a symbol for the gratitude of the Portuguese people for being spared the worst ravages of the Second World War. 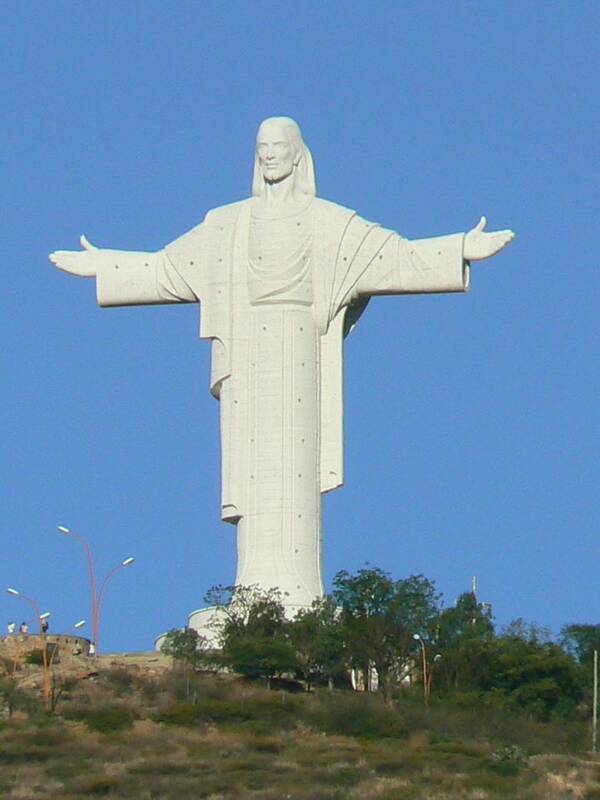 If the pedestals of these statues were counted in height it would be the tallest monument to Jesus in the world. It stands in place on the cliffs above the Portuguese capital Lisbon, at a safe enough distance away from the edge to avoid any chance of it ever tumbling down towards the city. 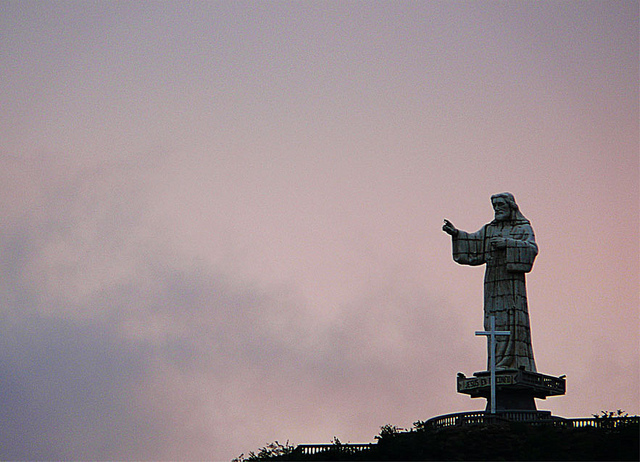 The figure of Christ atop the pedestal stands with his arms outstretched towards the city, as if embracing it. 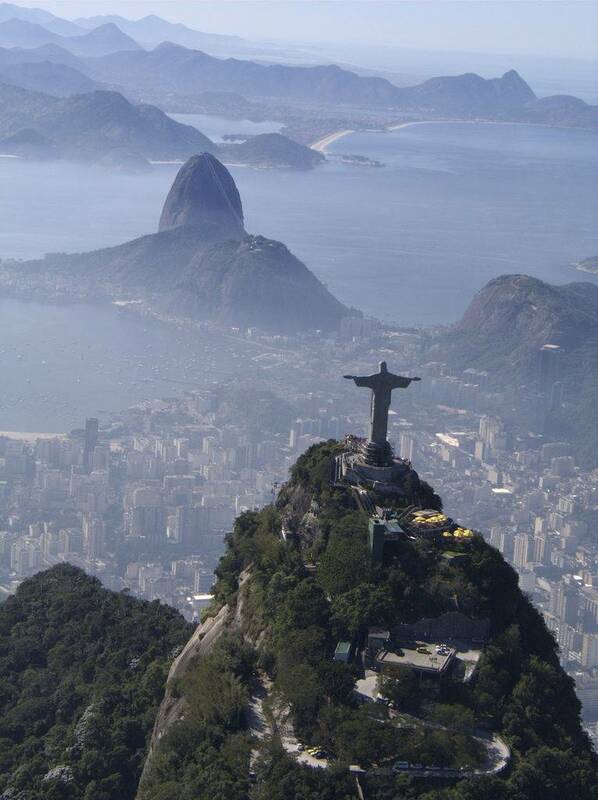 If it looks familiar it is because it is based on its more famous Brazilian counterpart. 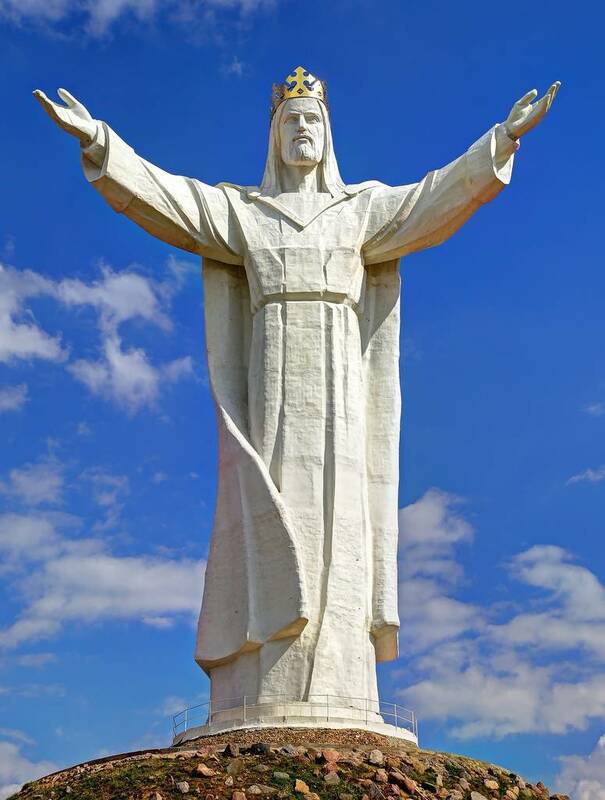 The only statue on the list to be erected inside a cemetary it is appropriate then that the English name of this statue is Christ Resurrected. 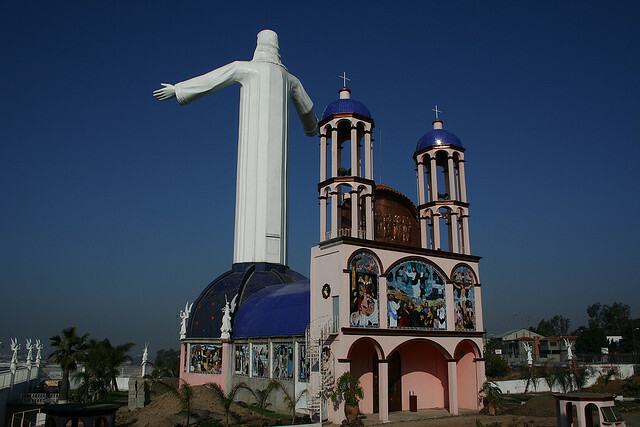 It is situated in San Rafael, Tlalnepantla. 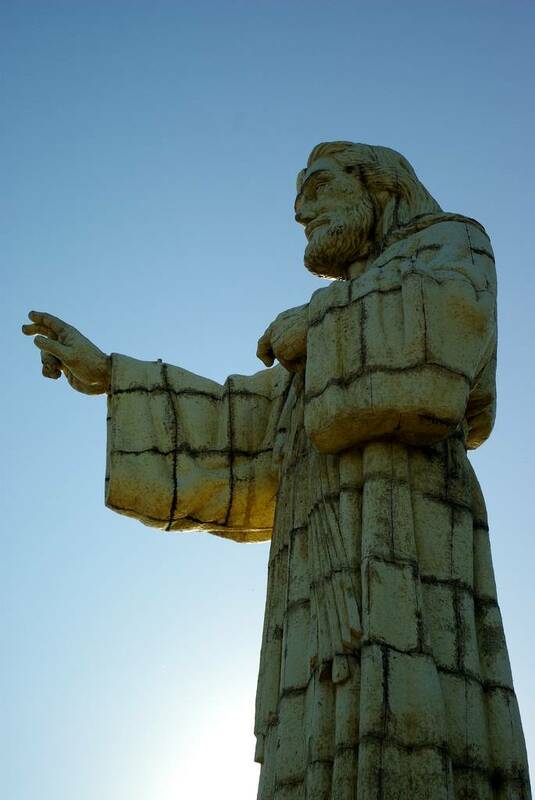 The sculptor David Gutierrez Becerril and the statue, made of pink stone, was completed in the early 1970s. Becerril paid paid particular attention to the fabrics that make up the attire of Jesus . 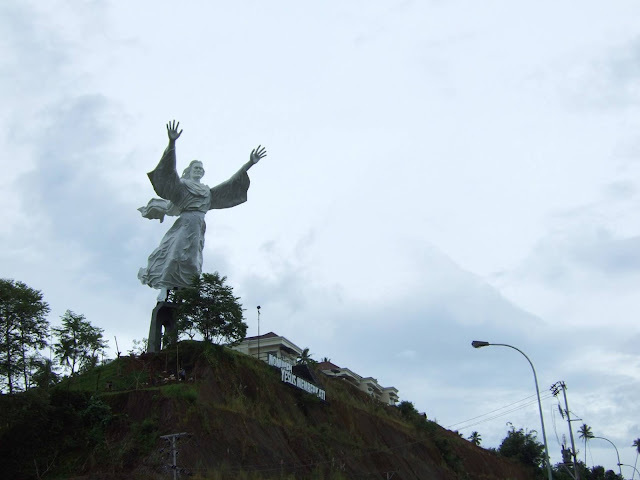 In Indonesia’s Manado language, Christ Blessing is known as Kristus kase Berkat and is constructed out of 25 tonnes of metal fibre and 35 tonnes of steel. 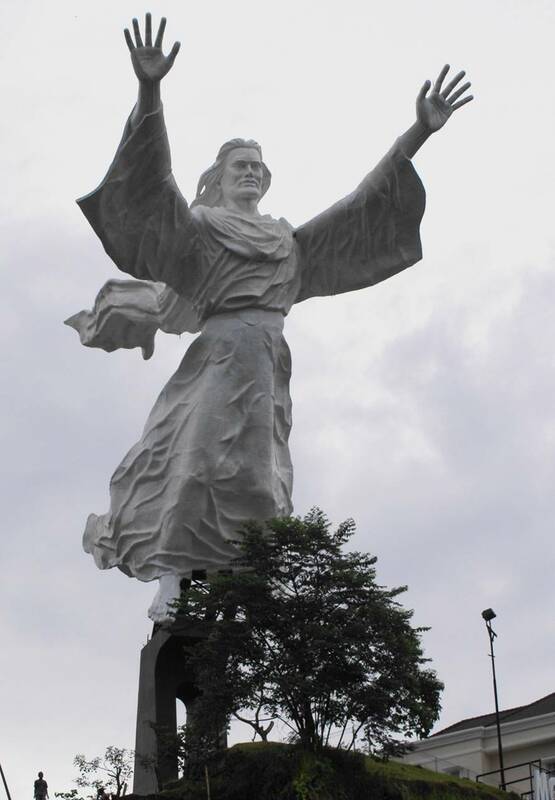 It is situated at the top of a residential estate in Manado City. Since it was built in 2010 it has become the newest icon of the city. A local real estate developer stood at the top of the hill one day in the early 2000s with his wife and they had the idea for the statue. Although the structure took almost three years to complete it is though t that it came at only just over half a million US dollars. 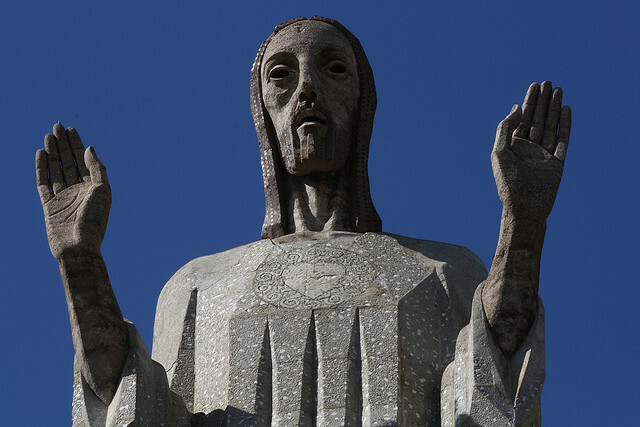 It is unusual in this least as it is at an angle – as Christ leans forward to bless his flock, so the declivity of the statue had to be set at 20 degrees. 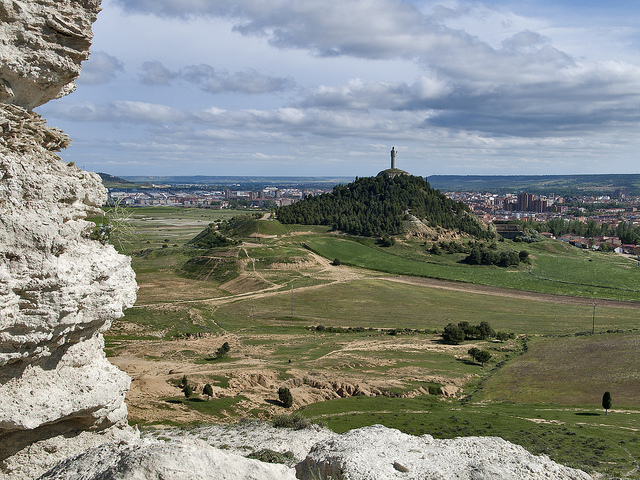 You can find the Cristo del Otero on the outskirts of the Spanish city of Palencia in Castile and Leon. It was built in 1931 in a style reminiscent of the Art Deco movement. 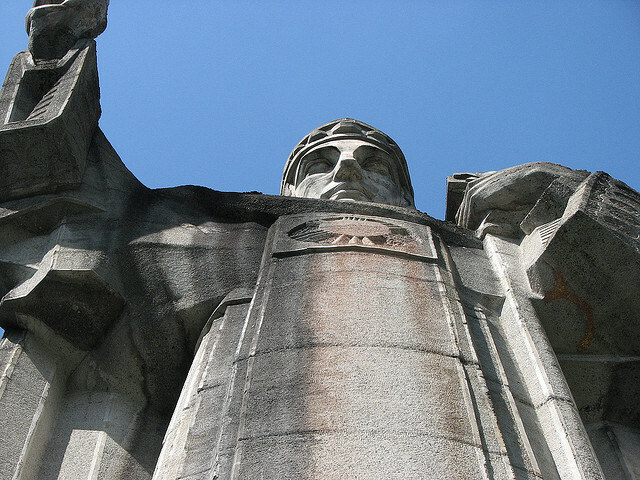 It was the project of the sculptor Victorio Macho who is buried at its feet. 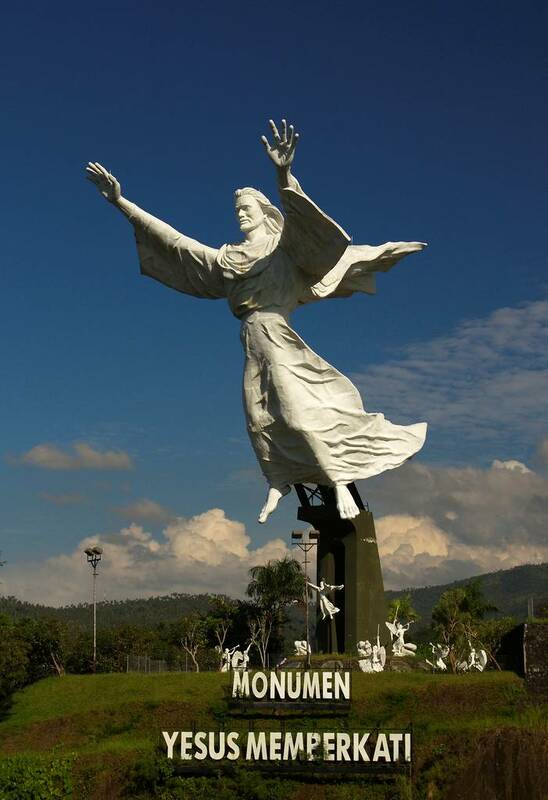 It is probably one of the least known of these Jesus monuments. Its slender shape and sheer verticality are believed to stem from Macho’s desire that the statue be viewed from directly below – and perhaps in contrast to the almost flat cereal fields of Castilla which surround the statue. 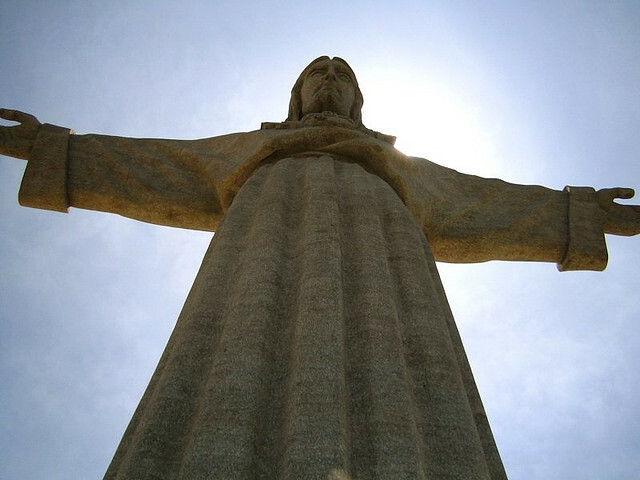 Perhaps the most famous statue of Jesus in the world, Cristo Redentor in Portuguese comes in at number 4 on the list of the tallest statues of Jesus. 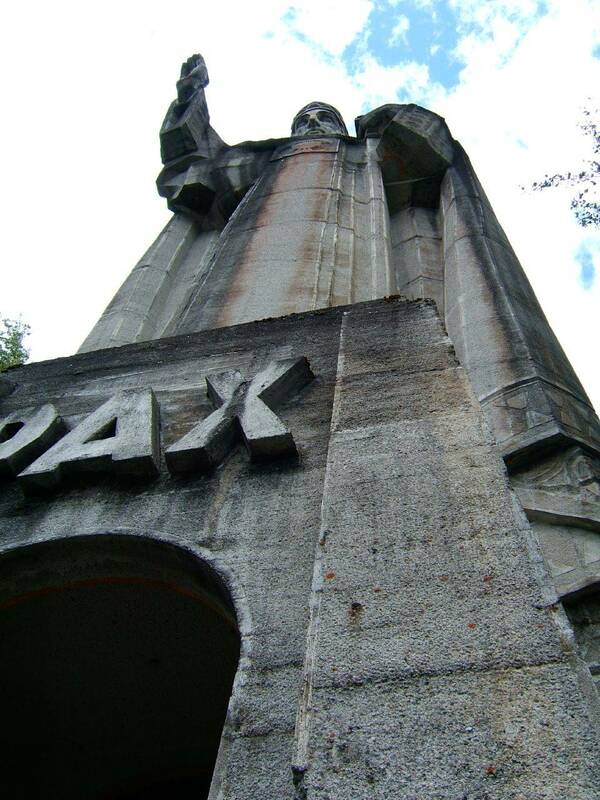 It is also the oldest of the statues on the list, built between 1926 and 1931 and has been the inspiration for a number of the others you can see here. Although the idea for a giant statue above the city had first been suggested in the mid-1850s it was not until 1921 that the idea really took hold and a public subscription for its construction was offered. 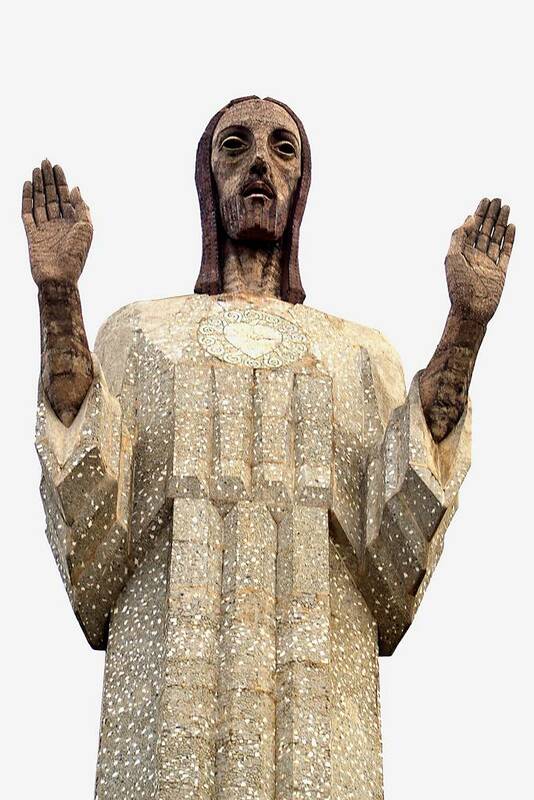 In 2010 the statue’s fingers, head and eyebrows were damaged by lightning which led to somewhat hurried restoration work on the lightning rods within the structure. 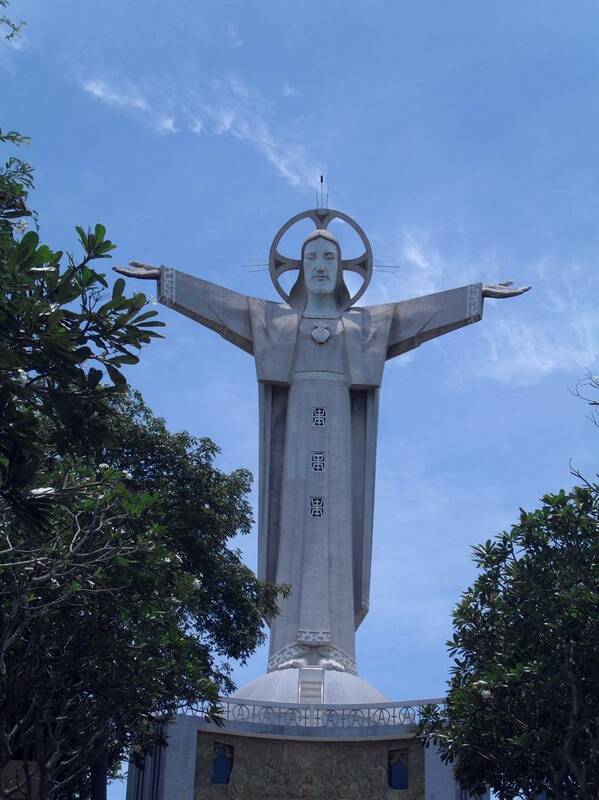 The Catholic Association of the Vietnamese city of Vung Tau started construction on this huge statue in 1974 and it was finished in 1993. The statue faces the south to the sea but like many others on this list has its arms outstretched. Unlike other examples, however, this has metallic halo rays around its head, which are first decorative and also act as the lightning rod. If you are able to climb the stairs (almost 200 of them) then you can exit the statue and walk along the arms, which serve as balconies. The statue is made of concrete with a granite shell. 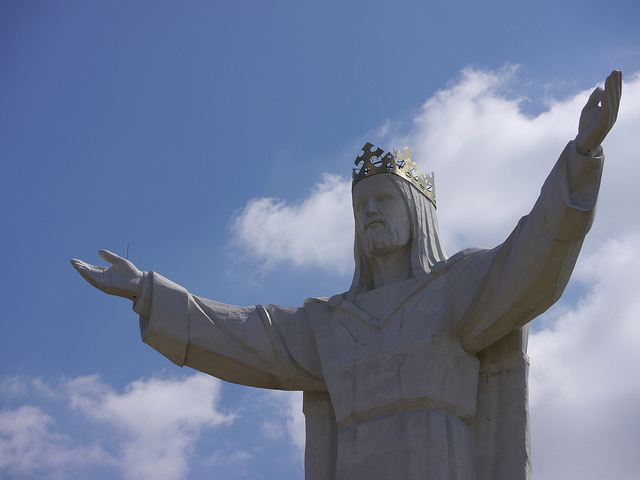 Known in Poland as Pomnik Chrystusa Król, Christ the King is the tallest statue of Jesus on the planet – if you count his crown. Completed in 2010 this immense project was overseen by a retired priest, Sylwester Zawadzki. 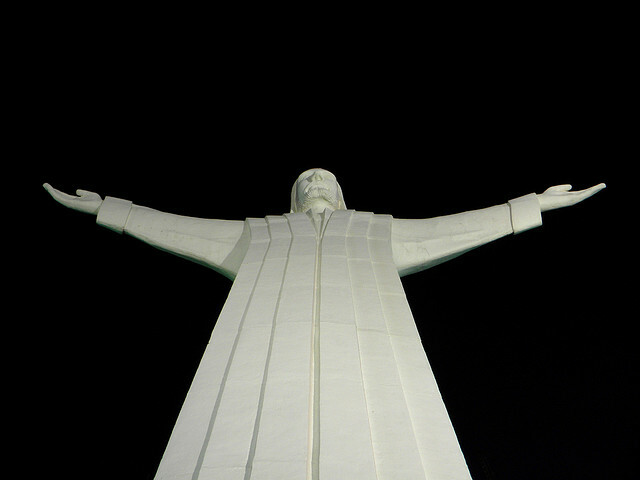 It is made from concrete and fiberglass and its height (at 33 meters) symbolises the age at which Jesus is believed to have died. The statistics are staggering. 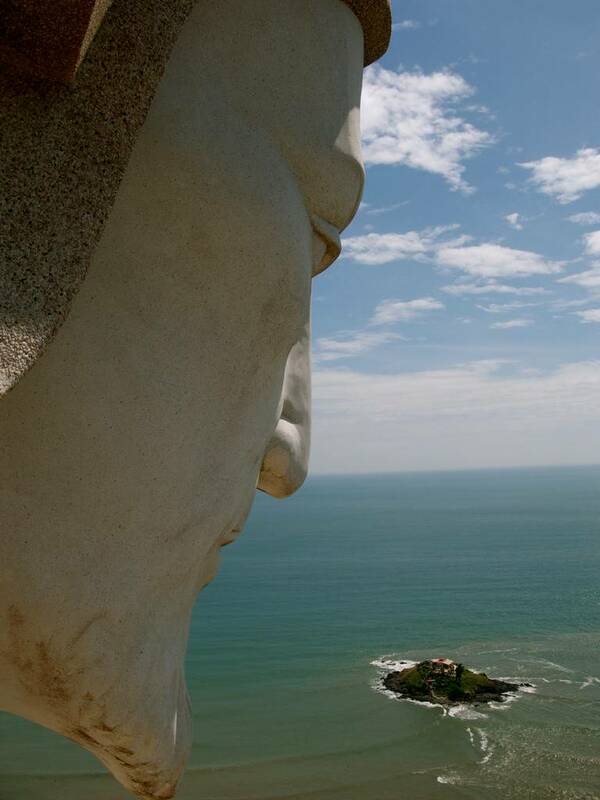 The head alone weighs in at an enormous fifteen tons and altogether the statue weighs just over 440 tons. 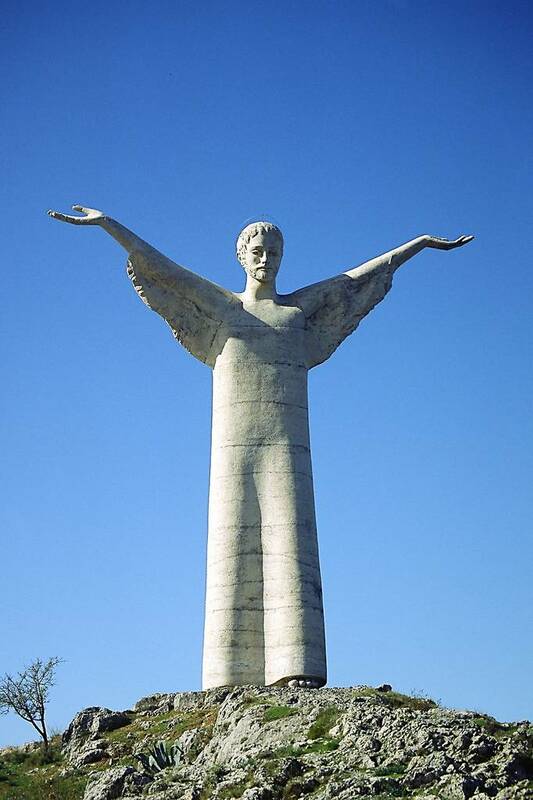 The statue (near Świebodzin) does not have a single designer – the various parts of the immense figure were designed by a number of individuals. The funding was orchestrated by local people but donations came from over the world. Although there was some resistance from the organization that handles most affairs relating to liturgical practices of the Latin Catholic Church and, indeed the Polish government (who halted the work for a while due to health and safety concerns) the project was completed in2010 and is proving to be a massive draw for Christians in this predominantly Catholic country. It may be somewhat contentious not including the crown in the overall height but then if you count the top you would have to count the bottom (the pedestals) which would re-order this list significantly and the Polish Christ would still not be at the top. Yet this is not, after all, a competition! 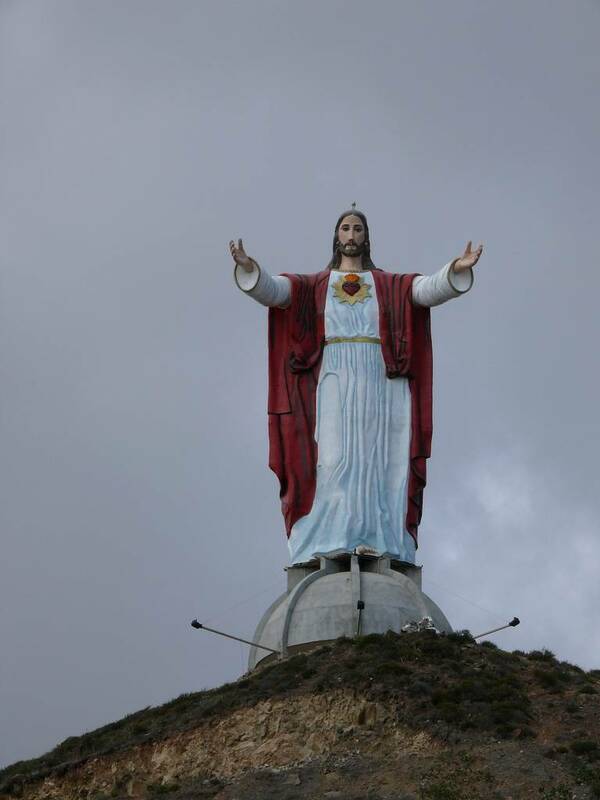 Image Credit Flickr User palegoldenrodCristo de la Concordia in Spanish, the Christ of Peace can be found just to the east of the city of Cochabamba in Central Bolivia. 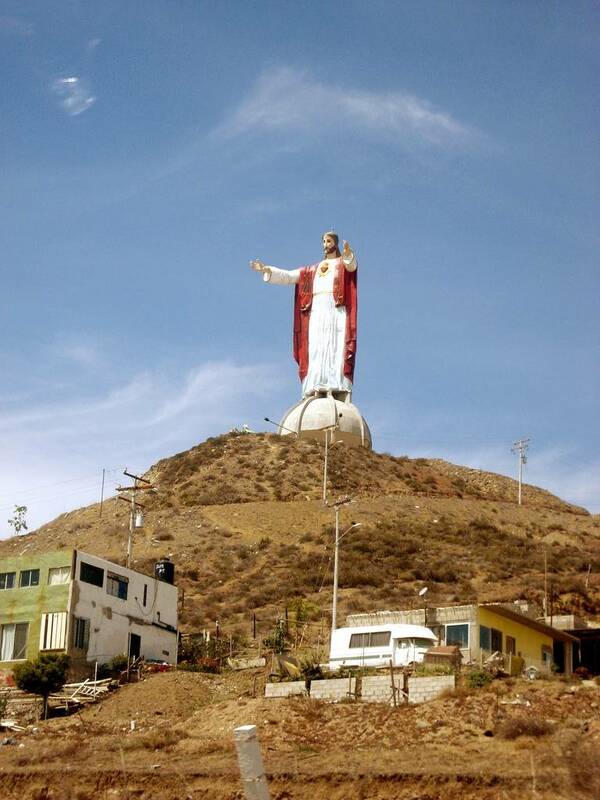 Although you could attempt to climb the San Pedro Hill, upon which it stands, that is two thousand steps and perhaps a little much for many to manage. 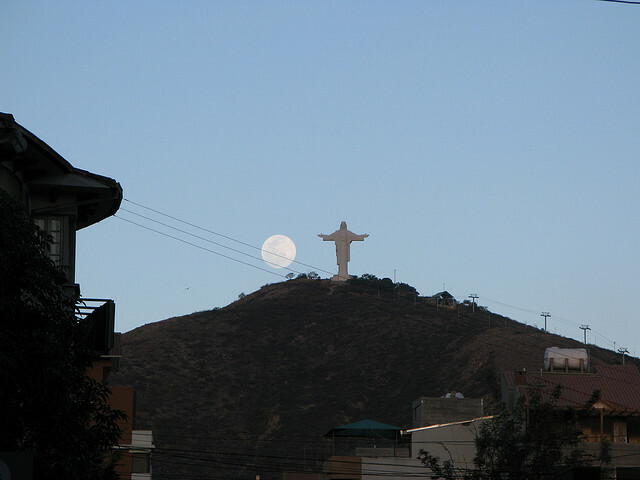 However, the statue can be accessed by another method – a cable car. 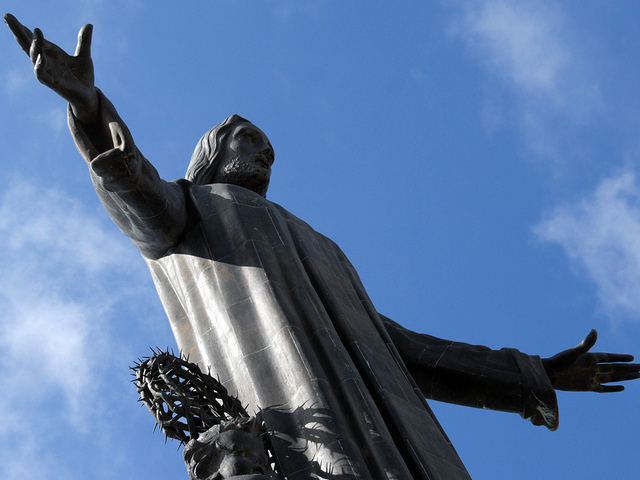 Christ stands with arms outstretched, the left pointing South and the right to the North. It took ten years to build, with work completed by the November of 1997. 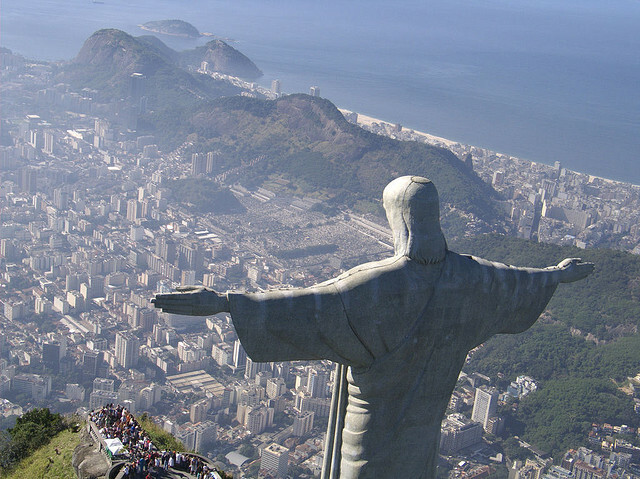 Another of the number of statues modelled on Rio’s Christ the Redeemer, it is a 2,840 meters above sea level, which makes it not only the largest statue of Jesus Christ in the world but the one at the highest level above the sea too. It is also by far the heaviest – a stupendous 2,200 tons. Unlike most of the other statues, you can climb this one – but of course there is no alternative to the stairs this time. 1,399 of them will get you to the viewing platform inside the giant head (4.64 meters) but make sure you climb them on a Sunday: it is closed the rest of the week.